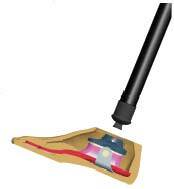 The TruStep® Foot offers virtually the same vertical motion, rotation, and stability found in the anatomical foot. 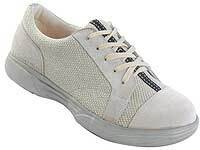 It restores a more natural gait, reduces the shock that occurs with every step, and enhances physical capacity. 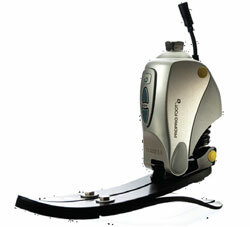 The TruStep Foot can be customized to each individuals functional needs. 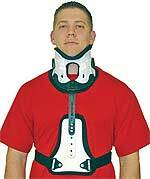 Durable weight limitup to 352 lb. Superior smoothness for natural gait. Worry-free warrantyup to three years. Customizable function for optimal control. College Parks standard product perks include a free foot shell, CPI sock, and sealing boot. TruStep: Experience everyday comfortTM. KiddieGAITTM is an engineered composite frame with anterior shell, lateral strut, and an energy-reflecting footplate with open calcaneus, all designed to allow customization of the frame into a ground-reaction AFO or a partial-foot prosthesis. The energy-reflecting properties of this system reduce the amount of energy required to lift and move the foot forward. The anterior shell design triggers enhanced "position in space" proprioceptive response and assists in management of proximal deficits by helping to overcome either knee hyperextension or crouch gait. Functional environments can be created that supplement gait function instead of immobilizing and inhibiting function. 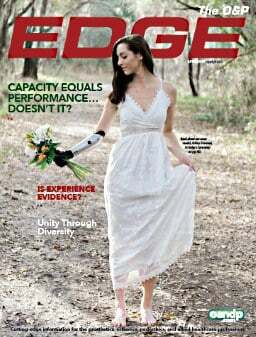 Harmony e-pulse, Otto Bock's newest innovation, opens up vacuum suspension to a wider range of amputees. This electric pump delivers the benefits of vacuum suspension in a reliable, low-profile, quiet package that your patients will love! You can fit the e-pulse on a wider range of patients because it requires no weight limits, no restrictions on activity level, and no restrictions on residual limb length. Find out more by calling your local Otto Bock sales representative. 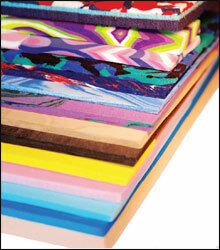 Friddle's now carries EVA sheet materials in a multitude of colors and swirls to meet the most demanding pedorthic professionals taste. Be sure to go to our webpage and click on the EVA Sheet Materials link for a complete range of all your foot orthotic sheet material needs. From impression foam and CAD-carver blanks to thermocorks, multi-laminates, top covers, and everything in between, youll find the most complete selection of pedorthic supplies and equipment available at one source. With one of the largest and most extensive selections of diabetic and orthopedic footwear, stepping in style has never been easier. Our footwear stock includes BoxerDogs, Mt. Emey, and Answer2. We also offer Medicare-approved custom diabetic inserts as well as toe fillers, prefab diabetic inserts, and other products pertaining to diabetic foot management. We guarantee value pricing, huge product selection, and a commitment to excellent service. 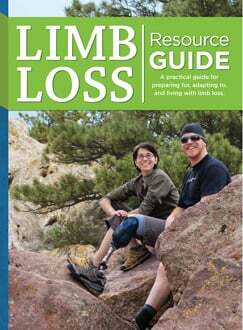 Our 2008 catalog is available. New additions to the LimbLogicTM VS product family broaden the systems applications. The new vacuum plate and vacuum pyramid allow for pump relocation while maintaining inline mounting. The components also permit retrofitting other vacuum sockets for use with LimbLogic VS. The cosmesis kit allows LimbLogic VSto be cosmetically covered without compromising access or use. 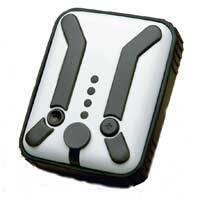 LimbLogic VSfeatures "set and forget" technology, a water-resistant controller, and quiet operation. The systems vacuum level is adjustable from 0 to 20 in-Hg. The new Seattle Kinetic Foot System from Trulife is now available from PEL Supply. A complete K-2 pylon/ankle and foot system, the new Seattle Kinetic Foot System is the perfect solution for moderate K-2 ambulators. Excellent medial-lateral compliance and plantar flexion. Four different urethane bumper categories. Includes pylon with male bonded adapter. 300-lb. K-2 ambulator weight limit. 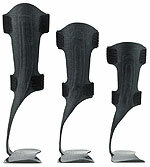 The Ortho Remedy Inc. announces a new foot clamp for its monolithic EndoFlex prosthesis. 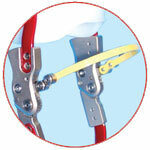 The new clamp allows all later model prosthetic feet to be attached to the Endo-Flex pylon. A standard four-bolt pattern is used to adapt a pyramid receptacle. 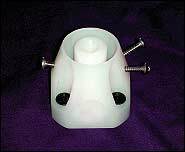 The new unit is used in the same manner as the standard Endo-Flex foot clamp by incorporating an anterior dynamic alignment screw and two posterior pylon screws. The clamp comes with 6mm attachment screws. The center plug is still threaded in order to accept a standard foot bolt. Weighing in at only 12.5 oz., Dycor's Dynamic Response ExtraADL "E"Foot is ideal for wearers who require more stability than a flexible keel with articulated ankle, and where resiliency is preferred. The optional aggressive gait management (AGM) torque absorber provides appropriate yield and return for moderate-level extra-ambulatory activity. Available in uni, bi, or triaxial with low (½-1 in.) and medium (1-1½ in.) heel-height options. Weight includes an integrated EVA foot shell. Titanium option available. If you are interested in finding a partner to run the business side of your practice, contact us. All discussions are confidential .